Did you know that people who allow themselves to be constantly interrupted by phone calls, e-mails and text messages suffer a greater loss of IQ than a person smoking marijuana? According to a British study commissioned by Hewlett Packard, it’s true. In 80 clinical trials, Dr. Glenn Wilson, a psychiatrist at King’s College London University, monitored the IQ of workers throughout the day. He found the IQ of those who were continually plugged into electronic messages and work fell by 10 points – which is the equivalent of missing a night’s sleep and more than double the four-point drop experienced after smoking marijuana. 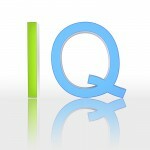 The decline in IQ was more pronounced in men involved in the study. Almost two out of three people in the study reported that they checked electronic messages even when out of the office or on holiday. Half of all workers respond to an e-mail within 60 minutes of receiving one. One in five will break off from a business or social engagement to respond to a message. Three out of 10 workers found it perfectly acceptable – in fact a sign of diligence and efficiency – for a colleague to answer a message during a face-to-face meeting.